Mid-week studio progress report: little steps in multiple areas. 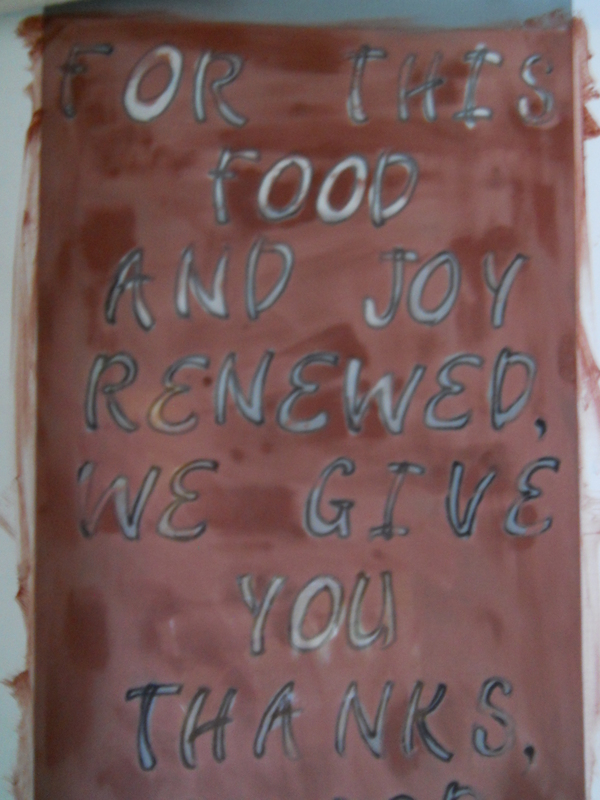 Purchased fabric for a wall hanging based on a hymn. Next step: cut into pieces. 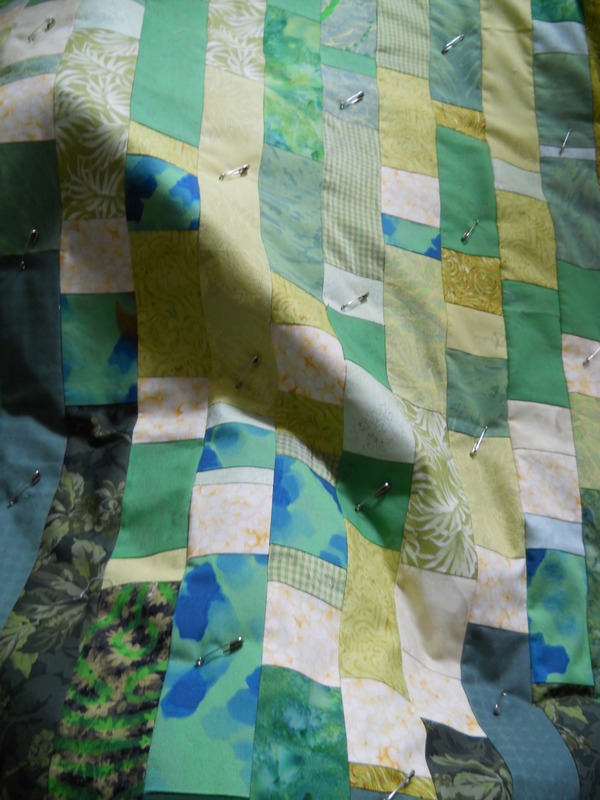 Pinned the pieced front of a wall hanging to the batting and backing. Next step: quilt the layers together. 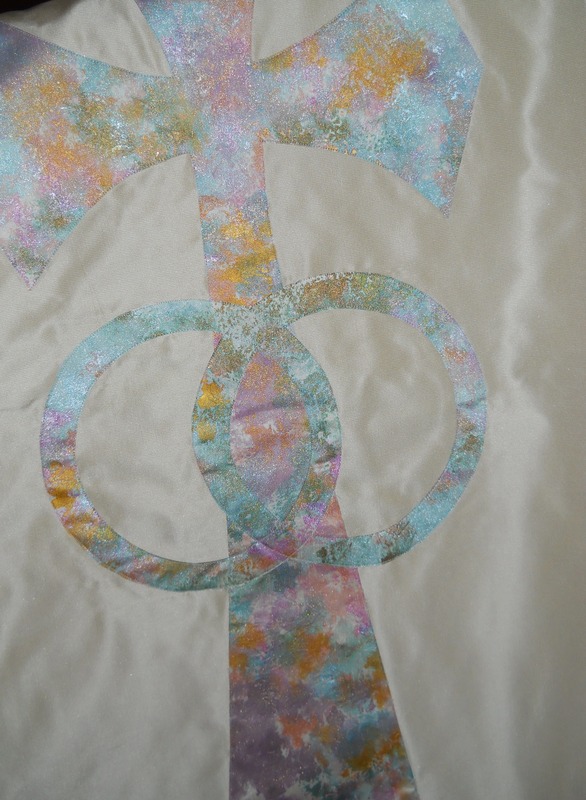 Stitched cross and rings applique to the front of a silk banner. Next step: outline the shapes with couched cord. 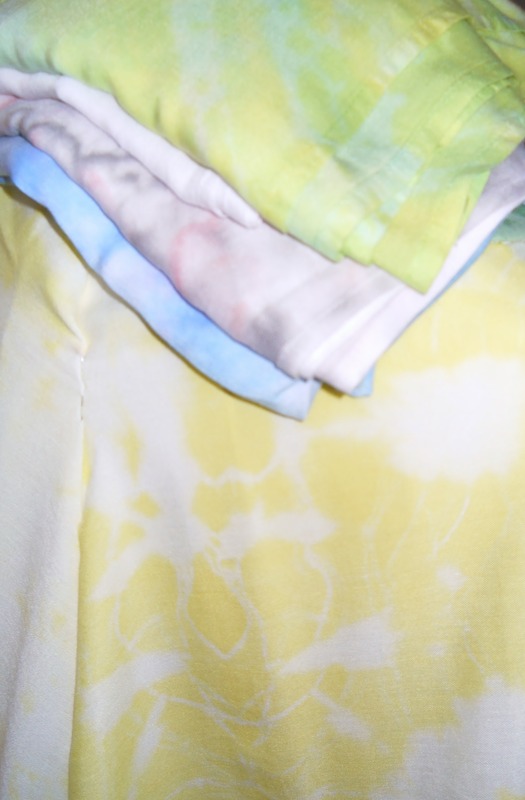 Draped prototype of a rayon summer shawl on the mannequin. Next step: hem and seam the 5 shawls. 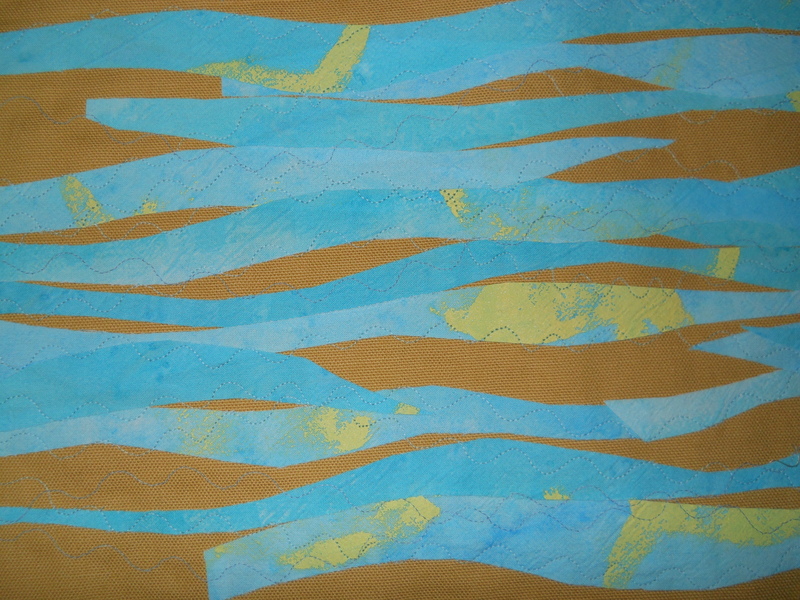 Created appliqued abstract of seashore. Next step: ? Prepared new screen for printing. Next step: make a trial print. 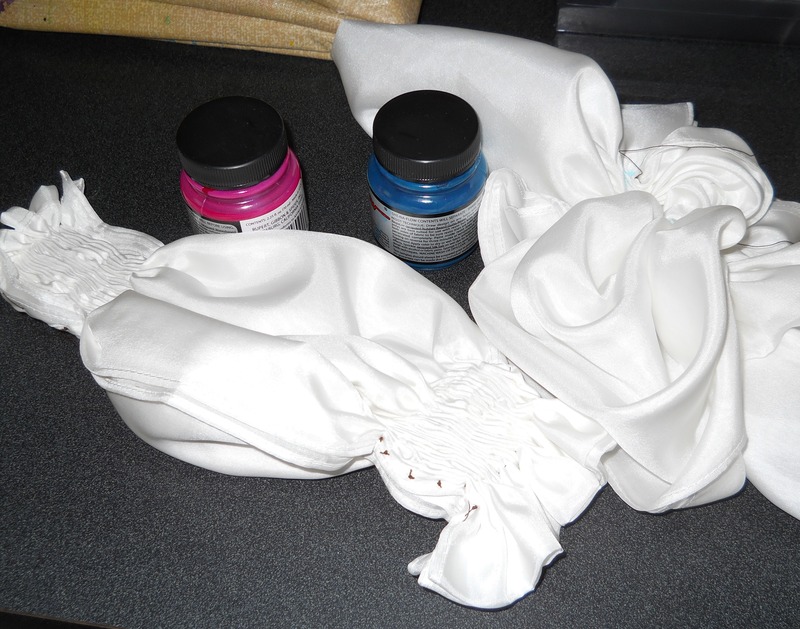 Stitched and tied two silk scarves. Next step: add the color. 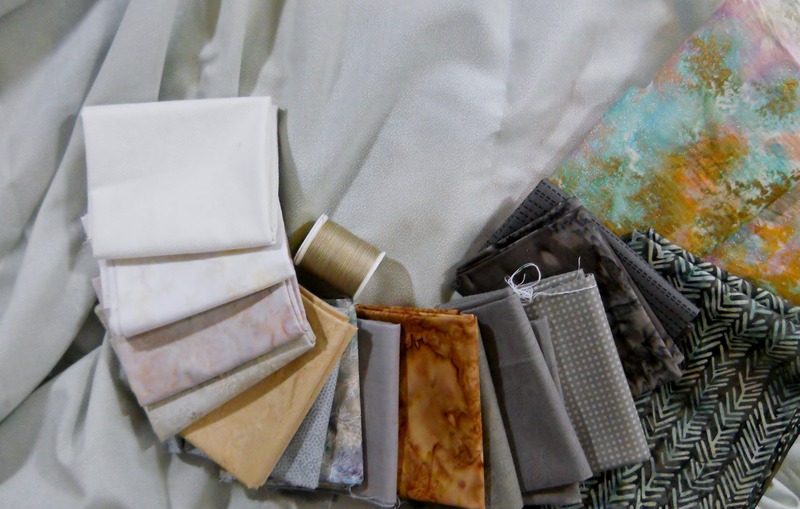 This entry was posted in Works of Art and tagged fabric studio, mono-tasking, process, simple, structure, unfinished objects by norma17. Bookmark the permalink. Wow! A super productive week, with delightfully varied work. Beautiful!